I’m supposed to say something about cranberries, about it being the season for using cranberries. And then something about ricotta, and how, cheese-wise, it completes me, and how I sometimes use my favorite spoon to eat it straight from the jar. Also oats. Something. Right? Something like that? In regards to these muffins? Well, I can’t. Not at the moment, anyway. Two of my great friends are getting married this weekend and I’m far too excited to discuss muffins. 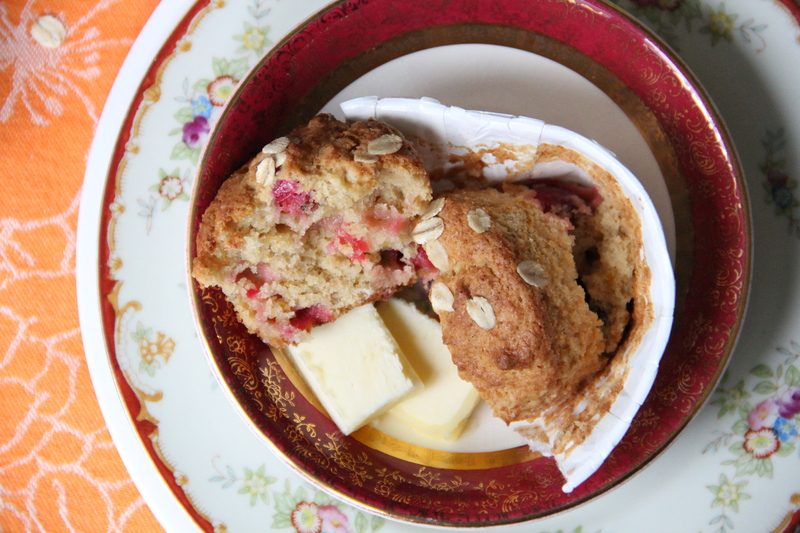 Not that these aren’t excellent muffins — they are. 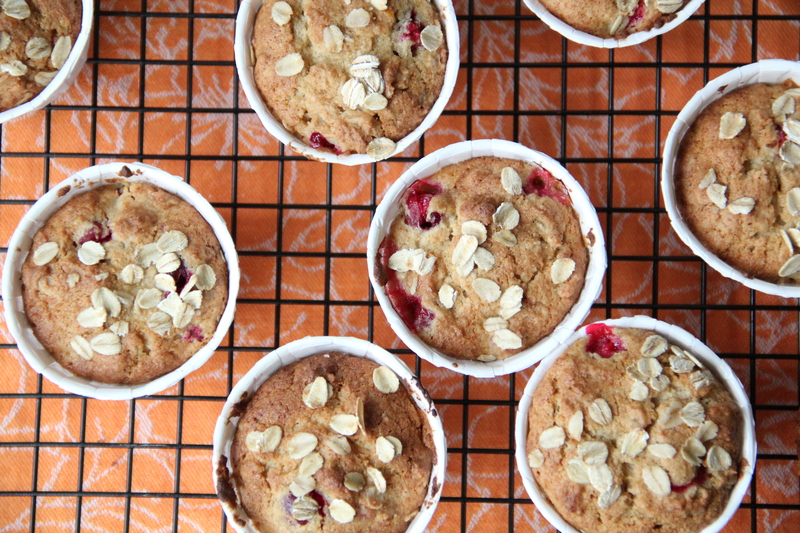 They’re light and fluffy, dotted with tart and jammy cranberry pockets, slightly chewy from a handful of toothsome oats, with a subtle creaminess and a tang from the ricotta that is just… right. For breakfast, for a snack. Smeared with butter, or extra ricotta (extra, hah), or a smudge of jam. They’re special, these are. But, at the end of the day, they are muffins. And Jenny and Steve are getting married this weekend! Married! To each other! I’m a little excited. Can you tell that I’m excited? Okay. Whew. It’s only Wednesday, I should tone it down. Maybe make some tea. It’d go well with a muffin. 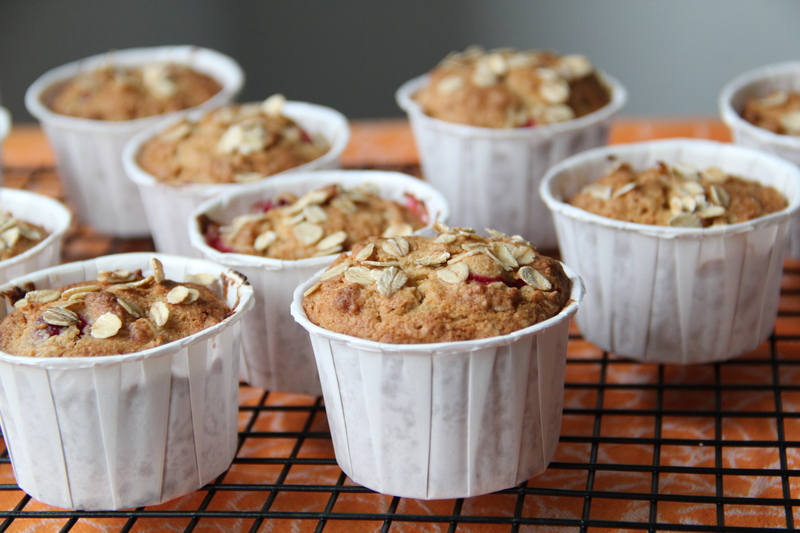 Preheat the oven to 375 degrees F and place paper liners in a twelve cup muffin pan. In a medium sized bowl, whisk together the flour, oats, baking soda, baking powder and salt. Set aside. In a larger bowl (or the bowl of a stand mixer fitted with the paddle attachment), cream together the butter and sugars, until light and fluffy. Add the egg and beat until well incorporated. Next, add the ricotta and orange zest, and mix gently to combine. Add the dry ingredients to the wet, and mix lightly, just until incorporated. Fold in the cranberries. Scoop the batter into the muffin tins, and bake until the muffins are puffed and golden and pass a toothpick test, about 25 minutes. Let cool on a rack, and serve with generous pats of butter. OMG — these look INCREDIBLE! I’m going to make them next week — AFTER the wedding!!!!! Right now this MOB (is that what i am???) doesn’t have time to do much of anything, other than wedding stuff. Although I did make ceviche for dinner tonight!!!! Chef Molly — I adore you! Please, I am begging you, save one of those for me. Or 10.
just came across your site today and have spent a ridiculous amount of time browsing your recipes. 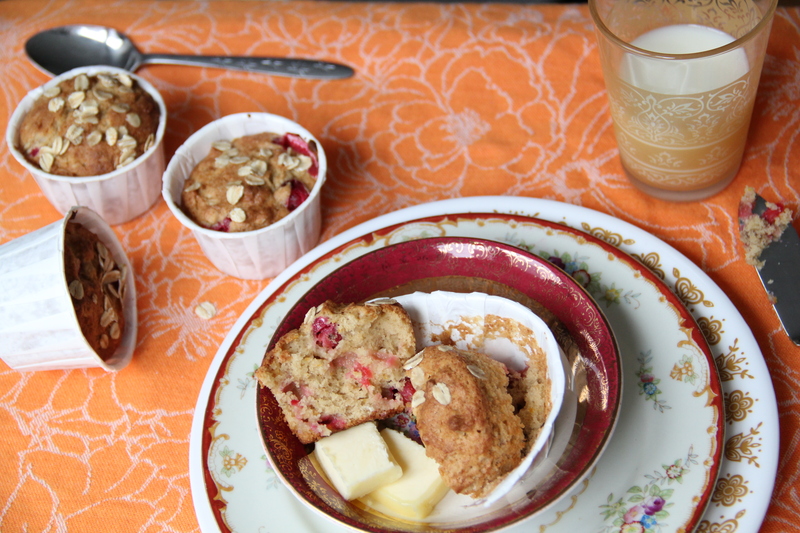 i love your tone, photography, layout, the recipes you’ve chosen…everything. this post inspired me to comment though, because i think my mother has the same red/gold pattern dishes as the bowl in the pictures above. she only has maybe two, they were her grandfathers. i’m about 5,000 miles from home and just the sight of the edging brought back so many memories. thank you! i look forward to exploring your site more and following from here on out.